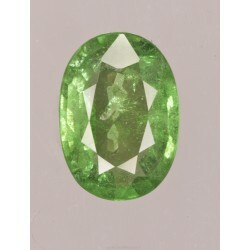 Faceted tsavorite garnet. Mixed oval cut. Weight: 1,11ct. Size: 7,9x,5,6x2,8mm. Natural. Not treated. From Kenia.